Scions came onto the market in 2003 and while the brand was discontinued in 2016, they have left a mark on the industry and on the roads of Kent and Des Moines. The ASE-Certified auto mechanics of Premier Automotive Services are well prepared to provide any auto repair services your Scion needs. We know that there are still countless Scions on the roads that need our auto repair services just as much as any other vehicle. Scions are known for their unique factors while still being a division of Toyota and therefore steeped in quality and reliability. Unfortunately for Scion, they didn’t manage to get a strong enough foothold in the automotive world and slipped into oblivion. 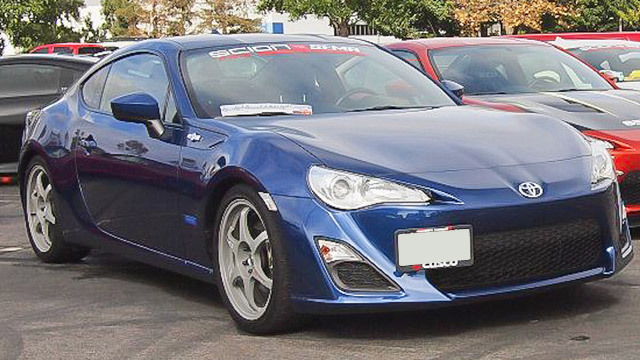 The cool thing, however, for Scion owners is that it makes your car even more unique! At Premier Automotive Services, we love to partner with our Scion clients in the Kent and Des Moines area to help them achieve the 300,000-mile mark and beyond if it makes sense. We work with you providing education, preventative maintenance, and auto repair services when necessary all in an attempt to help your Scion live a good long life on the roads of Kent, Des Moines, and beyond! “Great friendly customer service. Prompted to take my vehicle, fix and return quickly. In-depth Free inspection with pictures!!! Brakes work great again” -- Joshua P.
Owner of Premier Automotive Services, Ryan Hoover, knows this business from the inside out having started at 18 as the shop cleaner at an auto repair facility in Renton and has never left the industry. Premier Automotive Services approaches everything we do with integrity and you can count on us meeting our deadlines while never skimping on quality work. We believe in helping you keep your auto running in great condition up and through 300,000 miles and we’d love to partner with you to get your Scion there too. Make your appointment today! You’ll find us conveniently located at 25009 Pacific Hwy in Kent and we’re here 8:00 AM - 5:30 PM, Monday - Friday.